Hi everyone! Today I'm linking up with Allie at The Gypsy Teacher for her weekly Rewind and Retell linky! I am rewinding to May. 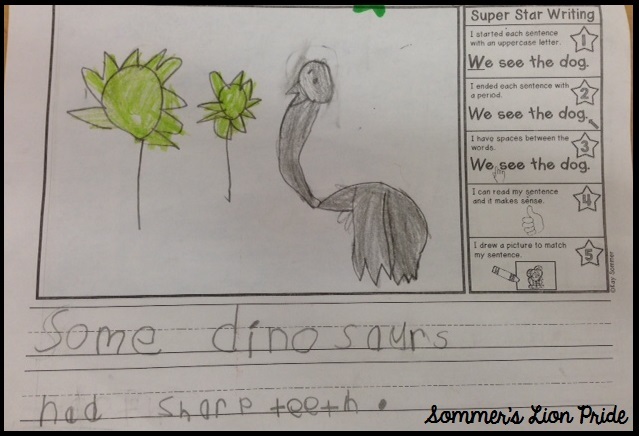 May was such a crazy month in my classroom and I didn't get a chance to share a little a fun art project that we did while reading the book If The Dinosaurs Came Back by Bernard Most. I found the idea on Pinterest and it comes from Mrs. Knight's Smartest Artists. I knew that it would be perfect for my Kinders! We started by drawing a city scene with pencil and then tracing it with a thin black marker. Then we drew different types of dinosaurs onto colored construction paper. The kids traced them with black marker, carefully cut them out, and glued them onto their city. I photocopied the last page in the book If the Dinosaurs Came Back, which has a lot of small black line drawings of different types of dinosaurs. 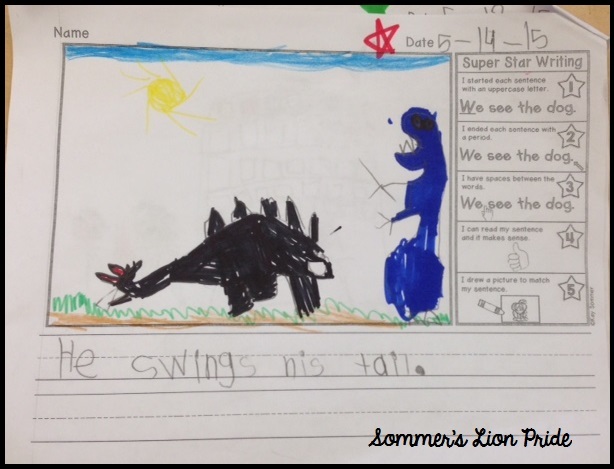 This was a great reference for the students when they were drawing their dinosaurs! My Kinders LOVED this project! And they came out fantastic!!! 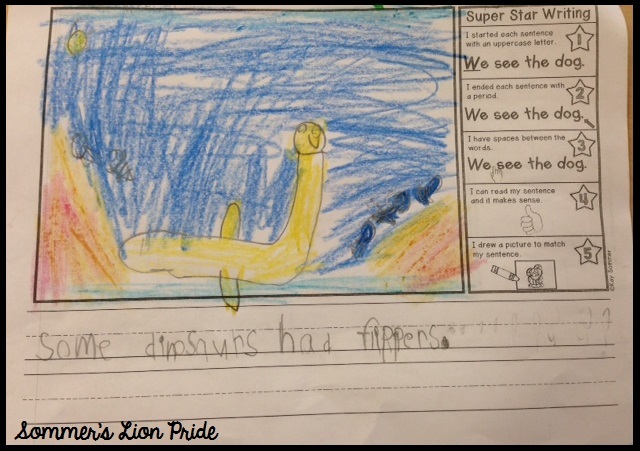 We also did some writing about dinosaurs. 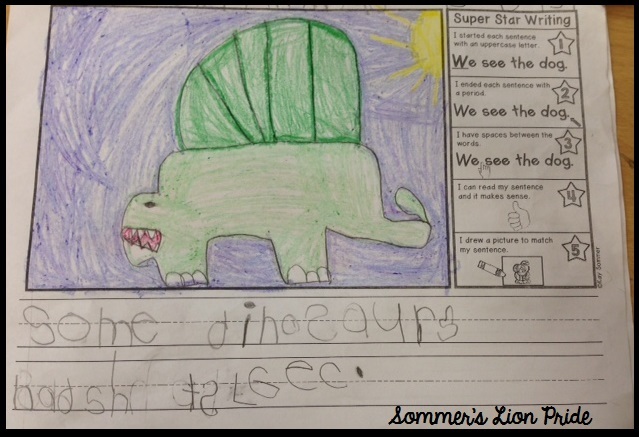 We started by describing dinosaurs and put the answers into a Bubble map. Then we go to our writing! They made such great progess over the year! Where can I get a copy of your wring page used in this post?? I've been looking for something like this! Oops... Writing page. Typing too quickly!